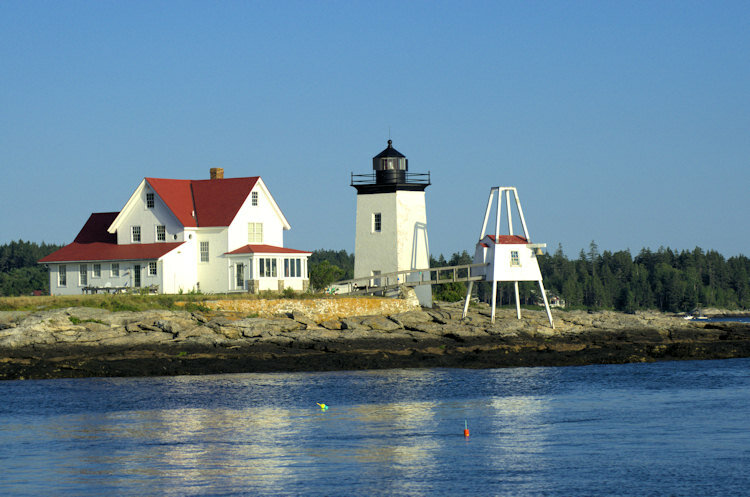 The Hendrick’s Head lighthouse quietly surveys the entrance to Sheepscot Bay on the coast of Maine. 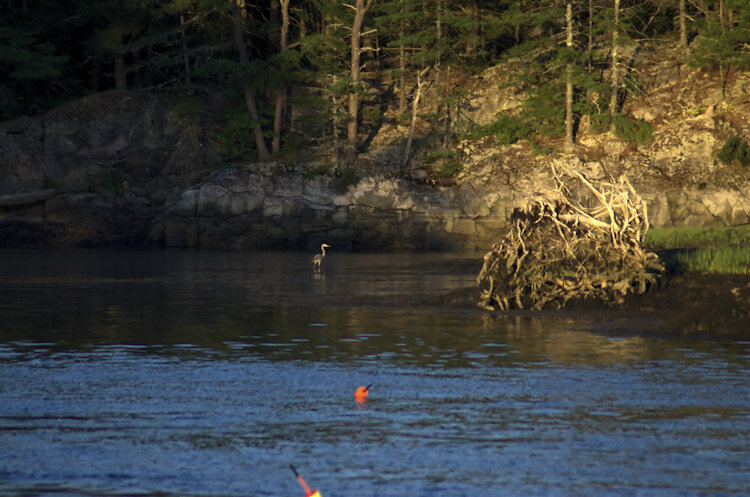 We caught this heron in a little cove near Knubble Bay on the Maine coast on a recent evening cruise. 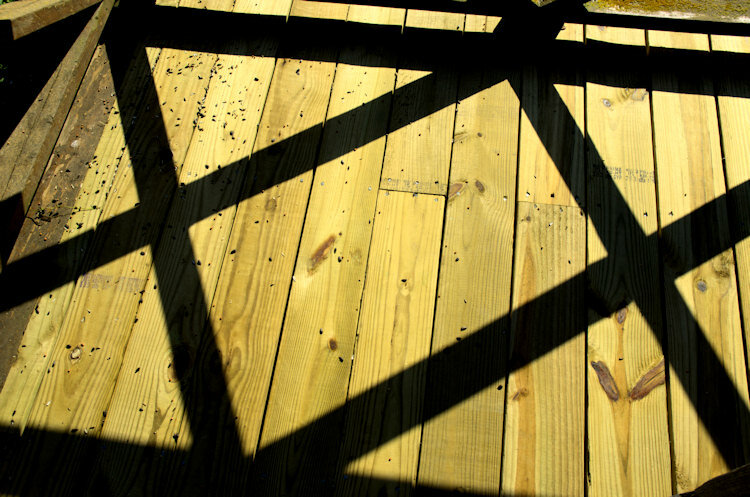 The late afternoon sun highlights the porch railings on a Maine summer day.